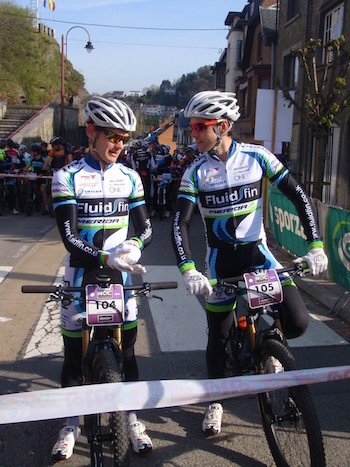 Following the Taça de Portugal in Valongo, Seb and Hamish trucked out to Belgium for the World Marathon Series in Houffalize. 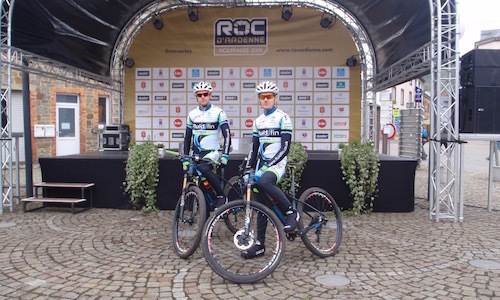 Known collectively as the Roc d’Ardenne, they were bidding to qualify to represent Great Britain at the World Marathon Championships later in the year. A top 20 result is what was needed to automatically make the qualification. 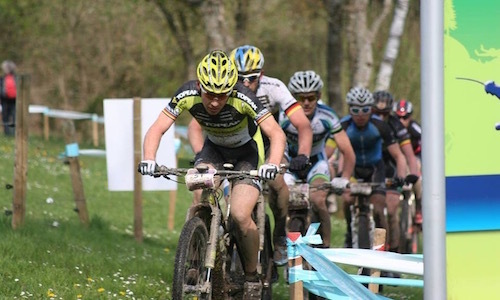 Houffalize is a well known MTB XCO race venue and has held many World Cups over the years. Seb had one of his best results there as an U23 in 2012. Further more, the route of the famous road Classic Liege-Bastogne-Liege goes straight through the centre and up the steep climb that formed the start of the Marathon (and the XCO World Cups of past). Marathon racing is a different beast to XCO – the team’s normal and familiar discipline. This particular Marathon was set as one big 82.5km loop which contained over 2000m of ascent, so the Roc d’Ardenne certainly required a different approach and usage of tactics to a XCO. There was also the added fact that it was not possible to pre-ride much of the course, which meant you had to learn and adapt to what came at you during the race. The start was clearly a lot less decisive than in XCO and the long steep start climb offered a good opportunity to move forwards, although Hamish and Seb were still gridded near the front from their XCO World Ranking. Seb rode well at the front of the lead group, but the distance started to take it’s toll and he had to slow his pace around the 2.5-hour mark. Meanwhile Hamish was making his way forwards with Belgium cyclocross (MTB, road) legend Sven Nys.